Australia is the oldest continent in the world and is located the Pacific and Indian ocean. Most of Australia’s population is found on the eastern and southeastern coasts. In fact, Australia is often described as the “Last Frontier”. Visiting places Australia, will take time and you won’t be able to do it all. But whatever part or parts you choose to visit, you’ll get a great outdoor adventure. The geography of beautiful Australia is incredibly diverse. From the magnificence of the Australian Alps, to large textured deserts and tropical rain forests. Many plant and animal species thrive here. In fact, Australia has the largest number of reptile species found anywhere in the world. And they also have those very unique lovable marsupial species – visitors love getting their photo taken with kangaroos, koalas, and wombats. The coral reefs of Australia are a huge attraction for both locals and visitors. The most famous of these reefs is the Great Barrier Reef which covers 133,000 square miles (344,400 sq km). The Great Barrier Reef supports more than 1,500 species of fish, 400 species of hard coral, one-third of the world’s soft corals and 134 species of sharks and rays. In fact, six of the world’s seven species of threatened marine turtles live right here in Australia! Australia really is all about the “great Outdoors”. 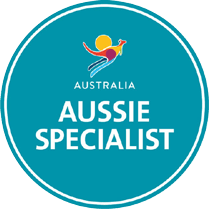 Surfing at some of Australia’s golden sanded beaches and a great national pastime. The outback of Australia is rugged and beautiful. Visitors love exploring famous places such as the Blue Mountains, Kakadu National Park, Kangaroo Island and more. Just waiting to be explored, is Australia’s beautiful and diverse outdoor paradise! For any additional questions please phone or email us and we’ll reply quickly. Sydney is the biggest city in Australia. It certainly deserves its reputation for sophistication. The city of Sydney also has a thriving culture which is centred around its Harbour Bridge and the historic Rocks precinct. Every surfer's dream, is right here at Bondi Beach. There are so many bush walks going around Sydney's Harbour and National Park. Sydney is also gateway for the famous Blue Mountains. 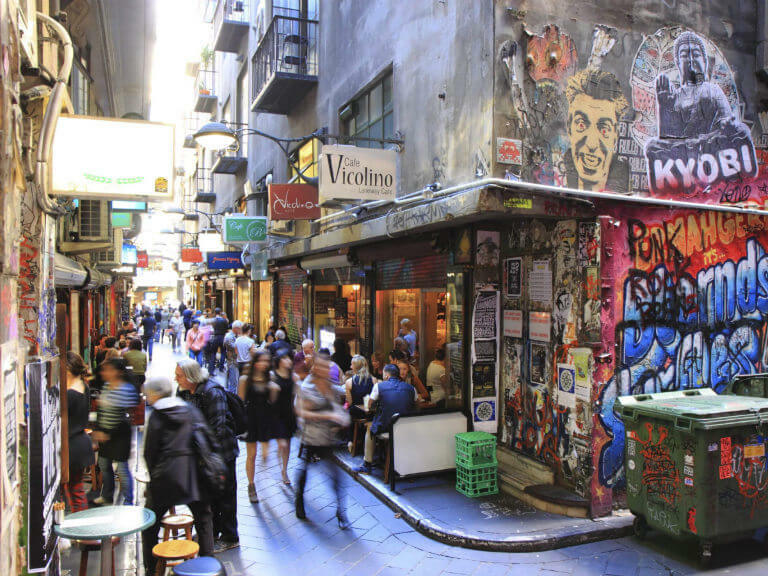 Melbourne's is famous for great shopping and many delightful lanes. Visitors love the cultural hub of Federation Square - with its bars, boutiques and eateries. And there's nothing quite like the atmosphere of the MCG cricket stadium. Explore the famous suburb of St Kilda, the Royal Botanic Gardens and bohemian Brunswick Street. World class events like the Australian Grand Prix, are held right here in Melbourne. While based in Melbourne, why not take a trip to the Mornington Peninsula or to Phillip Island to see penguins. In Brisbane, you can get the perfect blend of art and outdoor adventure. Here, the South Bank's cultural institutions and restaurants meet riverside gardens and a lagoon. Take a paddlesteamer or ferry down the Brisbane River. Go abseiling Kangaroo Point cliffs and bike through the City Botanic Gardens. Take a day trip to Moreton Island, add Noosa or the Sunshine Coast. Adelaide has beautiful restored colonial buildings and the most massive parklands. Walk through a bustling Adelaide Central Market. Swim with dolphins in Glenelg, explore Hahndorf and other picturesque villages in the Adelaide Hills. Get a taste of premium wines in the nearby Barossa and Clare Valley. The Great Ocean Road scenic route usually starts from Adelaide. Perth is located in Western Australia and the perfect location for visiting nearby Fremantle and Kings Park. The city of Perth is the gateway to the beautiful Margaret River wine area. The suburbs of Perth are thriving communities with bustling cafe life and boutique shops. It is usual to combine Perth with a journey to the Pinnacles, Monkey Mia or the beaches and goldfields of the state's south-west. The city of Cairns is located in tropical north Queensland. Here, you can enjoy a stroll along the beautiful foreshore promenade. At the local markets you'll find tropical fruit you want. There is also thriving cafe community. Like many places in Australia, Cairns has excellent fresh seafood. 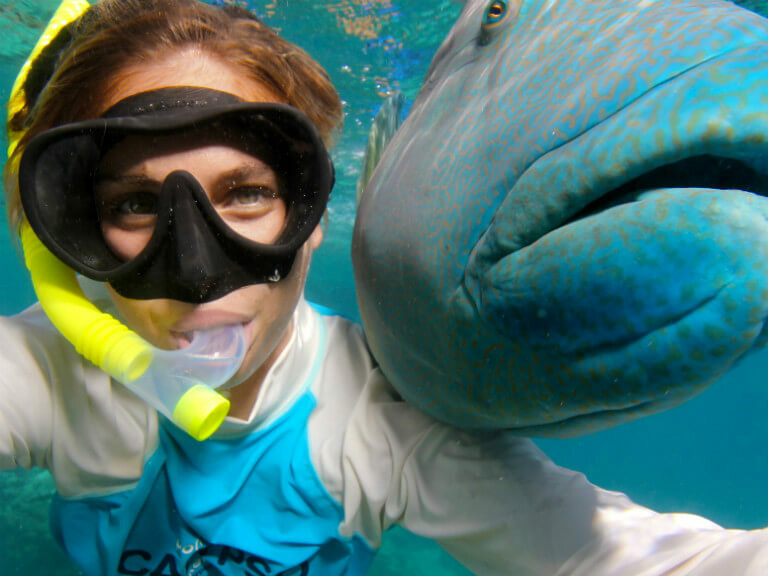 From Cairns, you can explore the Great Barrier Reef and Daintree Rainforest. The Australian state of Victoria is home to Melbourne From Melbourne, travel the ruggedly beautiful Great Ocean Road, vine-lined Yarra Valley and the Macedon Ranges nearby. See the picturesque Mornington Peninsula. Meet fairy penguins on Phillip Island, and dream your way down the Murray River in a houseboat. Walk the sand of Wilsons Promontory and 90 Mile Beach. Relive the goldrush in Bendigo and High Country towns and hike the ancient landscapes of Grampians National Park. New South Wales is home to the city of Sydney. You can explore New South Wales from Sydney, with Bondi Beach nearby. Take a day trip to the World Heritage-listed Blue Mountains and Hunter Valley wineries. Drive north to Coffs Harbour and Byron Bay, or head south to swim with dolphins in Jervis Bay. Going inland, is the Australian Alps, picturesque country towns and Mungo National Park. Queensland has some for everyone - explore ancient rainforests, snorkel in the beautiful Barrier Reef and discover the ancient forests of the Daintree area. Watch the exciting migration of whales. Queensland boasts some of the world's finest hotels and shopping experiences. Enjoy the relaxing vibe of the Gold Coast. Head, north to to the world's largest sand island, explore the tropical city of Cairns, and be part of a thriving cultural and arts scene. The Northern Territory covers one sixth of Australia’s total land mass and is home to some of the natural world’s most unique places. The Northern Territory has six main destination - from the red desert of Alice Springs and Uluru / Ayers Rock and the golden plains of Tennant Creek, to the savannah woodlands surrounding Katherine and the green tropics of Darwin and Kakadu. Its no surprise that the Northern Territory is recognised the world over as the Great Outback of Australia! Western Australia is Australia's biggest state and covers an entire one-third of Australia. Its capital city, Perth, is home to a vibrant suburban culture and beaches. Just offshore from Perth is Rottnest Island, home of the cute quokka. Western Australia also has the much loved Margaret River wine region, the ancient Kimberley region and the beach town of Broome. Visitors are drawn to the World Heritage-listed Ningaloo Reef, perhaps the best place in the world to swim with whale sharks. Kangaroo Island is Australia's third-largest island, after Tasmania and Melville Island. It is located in South Australia 112 km southwest of Adelaide. Kangaroo Island is full of native animals, which are not found anywhere else. It is also home to an established artisanal food scene, and one of the world's best hotels. More than one third of the island is protected by conservation land and National Parks. The island is divided into four major towns: Kingscote (the island’s relaxed capital), Penneshaw (where daily ferries disembark), American River, and Parndana. Uluru, also known as Ayers Rock and is best described as a massive sandstone rock formation in the southern part of the Northern Territory. Uluru is sacred to the Pitjantjatjara Anangu, the Aboriginal people of the area. At sunset or sunrise. the colour of Uluru changes with the time of day, turning massive surface from ochre brown to burnished orange and intense red. I found Guest NZ online and sent them an email along with several other agencies, as I was looking to book my vacation to Australia and New Zealand. Michael Nees responded right away. I proceeded to book my vacation through his agency. He asked what I liked and worked with me in order to fulfill all of my wants and needs. He was very responsive and professional. And when I say responsive, I mean he would respond the same day even with the time difference. It was one of the best vacations I have taken, and I do travel a lot. When I arrived in NZ a bag with GPS, maps, cell phone and electrical plug adaptor were waiting for me along with an easy return envelope and some post cards. This was so helpful; I was able to stay in touch with my family and my boyfriend, plus I knew I could always call him or emergency # if I needed it. During my trip to Australia I forgot all my cash inside a safe at one of the places where I stayed. Michael arranged for the $ to be sent and deposited to my credit card. I cannot say enough of how happy I was with Michael Nees’s services. 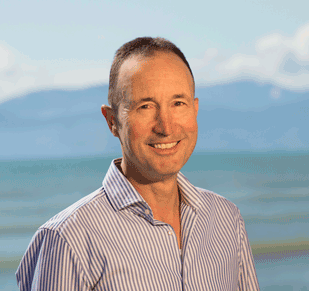 I would wholeheartedly recommend Michael and Guest NZ to anyone who is looking to go to New Zealand and/or Australia and I would like to take this opportunity to thank him for a wonderful and most memorable vacation ever!